If you’re after a nice healthy meal that can be cooked in minutes then this San Choy Bau is just for you. It’s a great meal to make for a dinner party as it’s cheap and you can make the mince and salad ingredients ahead of time. Finely dice garlic and fry off with mince, shallots and capsicum in olive oil until cooked through. Add rest of ingredients and cook until mixed through nicely - cook approx. 5 minutes. 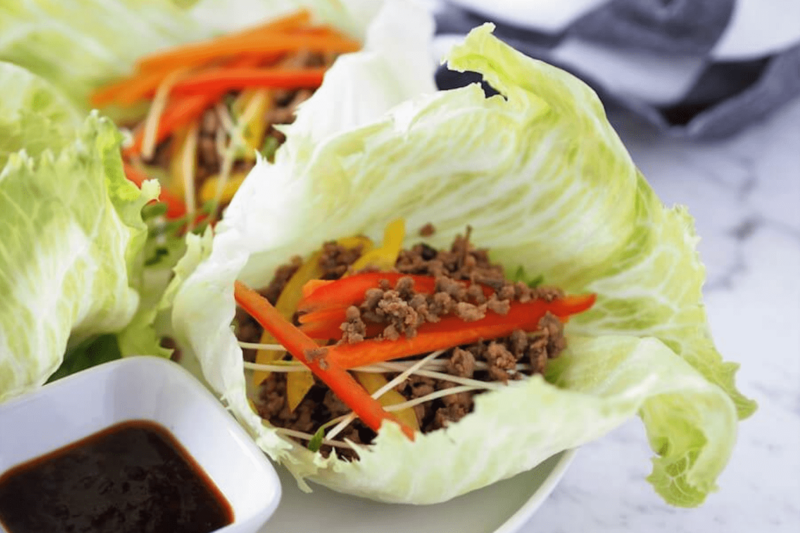 Serve in fresh iceberg lettuce cups with salad ingredients like sliced capsicum, bean sprouts, fresh herbs and some toasted peanuts (if it tickles your fancy). I made this for the family for dinner on Friday night and it was a huge hit (even with my 7 and 10 year olds).